Donald Trump Jr., waves from the stage at the National Rifle Association-Institute for Legislative Action Leadership Forum in Dallas, Friday, May 4, 2018. 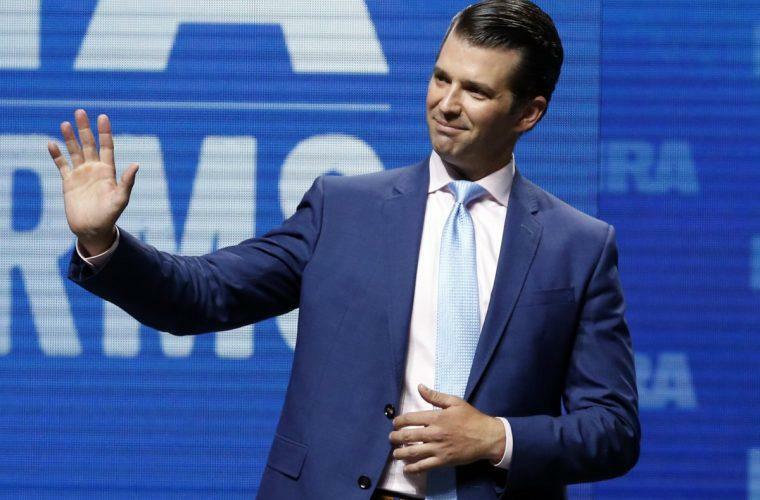 West Virginia Attorney General Patrick Morrisey, the Republican candidate trying to unseat incumbent Democratic Sen. Joe Manchin in November’s election, is bringing Donald Trump Jr. to the state on Tuesday to rally GOP voters. Numbers-wise, it makes sense for President Trump to send his son as a proxy to a state campaign. 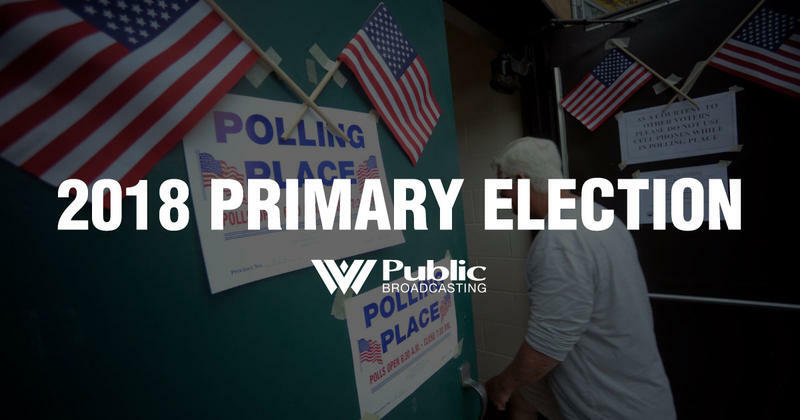 West Virginians voted 69 percent for Trump Jr.’s father in 2016, and there is no state where the president enjoys a higher approval rating. The larger question is: 500 days into the Trump presidency, is the mainline GOP becoming more like Trump, or is Trump becoming more like the mainline GOP? Or is there a distinction any more? Trump has never been a true conservative; he is an opportunist. He was a Democrat who switched to Republican who switched to Independent who switched back to Democrat who switched back to Republican. During the 2016 campaign, he ran and won as a protectionist, anti-immigrant populist. Once elected, and despite historically low public approval ratings, Trump apparently believed his coattails were longer than they actually were and endorsed a reliably mainstream but uninspiring Republican — Luther Strange — in the 2017 Alabama special election to fill the U.S. Senate vacancy left by Jeff Sessions, when Trump appointed him Attorney General. Alabama Republicans went rogue and rejected Trump, and Strange, and nominated perhaps the 21st-century’s worst major political candidate so far — Roy Moore. As soon as Moore won, Trump deleted earlier tweets endorsing Strange and went all-in for Moore, calling him a “really great guy.” This quick-change endorsement did not sway Alabama voters, who elected Democrat Doug Jones, becoming Alabama’s first Democratic senator in 25 years. Senate elections in 2017 and 2018 matter greatly for the Republicans, because it looks increasingly likely that Democrats may take control of the House. It is vitally important for Republicans to hold control of the Senate. As such, the 2018 Senate election in West Virginia is a really big deal. Manchin entered the Senate in the 2010 special election following the death of Sen. Robert Byrd. Manchin was easily re-elected in 2012 with 60 percent of the vote. Though he is a Democrat, Manchin looks conservative on many issues, including abortion and gun-control, aligning with the majority of West Virginia voters. But, on the seating chart of the U.S. Senate, Manchin is a D, and the White House desperately wants an R in that seat. If the White House learned any lesson from the Alabama debacle, it is: Eliminate the nut job first. If Trump had campaigned actively against Moore in addition to backing Strange, a Republican might be in that Senate seat today. “Don Blankenship, currently running for Senate, can’t win the General Election in your State ... No way! Remember Alabama,” Trump tweeted. Whether due to Trump’s tweet or Blankenship’s toxic campaign, Blankenship finished third and Morrisey, a traditional Republican, won. Now, Trump is all-in for Morrisey, and is sending son Don Jr. to appear at a press conference with Morrisey on Tuesday at the West Virginia GOP headquarters in Charleston. Morrisey is surely happy to receive a sprinkling of Trump fairy dust over his campaign in one of the states where it may actually be beneficial. But he is unlikely to restyle himself into the kind of raging populist Trump was during the 2016 campaign, where he channeled dangerous demagogues like Huey Long. Yet he may not have to. Trump has so co-opted the GOP that it no longer resembles the party of Goldwater, Reagan or either Bush. Trump has run up the national debt, governed as a mercantilist — not a free-trader — on international trade, exited multiple international accords that conservatives backed as a way of showing American global leadership and has remained anti-immigrant, shutting down the path to the American dream that conservatives have extolled. Gallup reports that Trump’s own-party approval rating at the 500-day mark of his presidency is 87 percent, second-highest in history behind only George W. Bush. Republicans all over the country have fallen in line behind Trump, despite his many obvious personal shortcomings and lack of interest in policy or much of anything else besides Trump. Will Don Jr.’s presence on Tuesday be enough for Morrisey to push him over the top against Manchin? Wherever you are, it’s always tough to beat an incumbent and Manchin has been a successful senator for West Virginia. A recent Democratic poll shows Manchin with a 12-point lead over Morrisey, reports Politico. But is that edge based on Manchin’s record? No, writes Politico. It’s Because Manchin has been successful in portraying himself as a Democratic ally of Trump. Which means: Regardless of whether Morrisey or Manchin wins in November, Trump wins. Frank Ahrens, a West Virginia native and WVU graduate, is a public relations executive in Washington D.C. He was a Washington Post journalist for 18 years and is the author of “Seoul Man: A Memoir of Cars, Culture, Crisis, and Unexpected Hilarity Inside a Korean Corporate Titan.” Contact him at www.frankahrens.com.